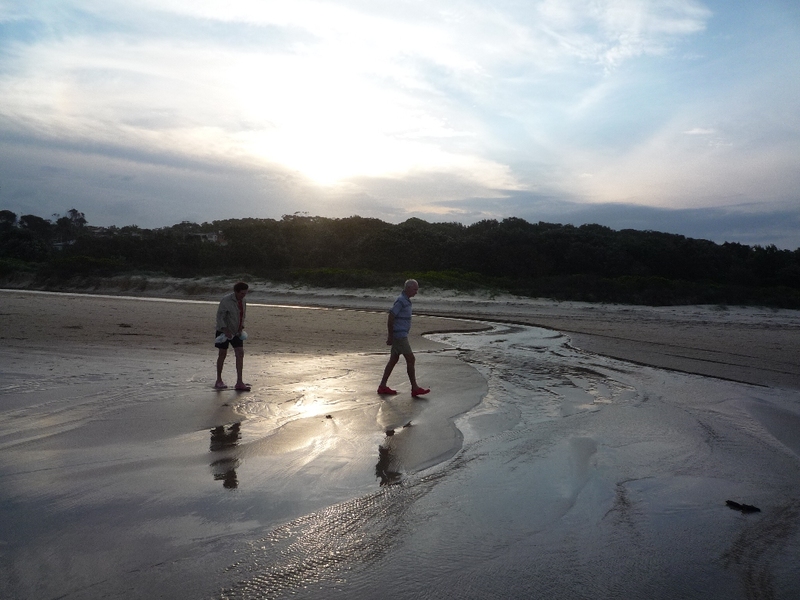 My inlaws take an evening constitutional on the beach near their home in Nambucca Heads. With Turner’s painting ‘Reflections on Wet Sand’ in mind I went along hoping to capture the sunset and figures reflected on the beach. I didn’t manage a masterpiece, but it’s a nice record of my inlaws’ idyllic location and daily habits. There is something special about being near water in the peaceful early evening. Do you have any tips on how to photograph a great sunset? This entry was posted in Skies and Clouds and tagged cloud, coast, inspiration, landscape, photography, reflection, sand, sea, seascape, sky, sunset, water, waves. Bookmark the permalink.